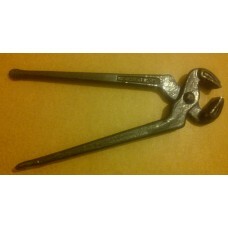 Wedge Riveting Tool, suitable for 9mm, 8mm or 7mm wedge rivets. Includes setting hole for both left and right handed use. Authentic Style tool currently being developed. Do you have any questions about Riveting Tool for Wedge Rivets?